DAYTONA BEACH | Community leaders in the city of Daytona Beach and Volusia County have struggled for well over a decade to determine how best to serve the many homeless individuals so visible and needing assistance. After nearly three years of intense advocacy by F.A.I.T.H. (Fighting Against Injustice Towards Harmony) and other community organizations concerned about this issue and intense planning, Daytona Beach is preparing to open a new homeless shelter with Catholic Charities of Central Florida (CCCF) in charge of day to day operations. The hope is this 100-bed facility will help transition clients to independent living. The shelter, to be called the First Step Shelter, results from significant funding contributions by Volusia County, Daytona Beach and a number of beach-side municipalities sharing concern about how best to serve homeless individuals. 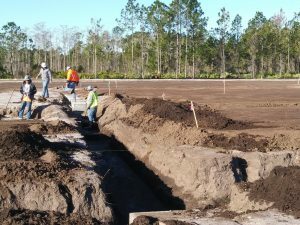 First Step Shelter Inc., a 501(c)3 created by the City of Daytona Beach, will have ownership of the land and facility once completed. 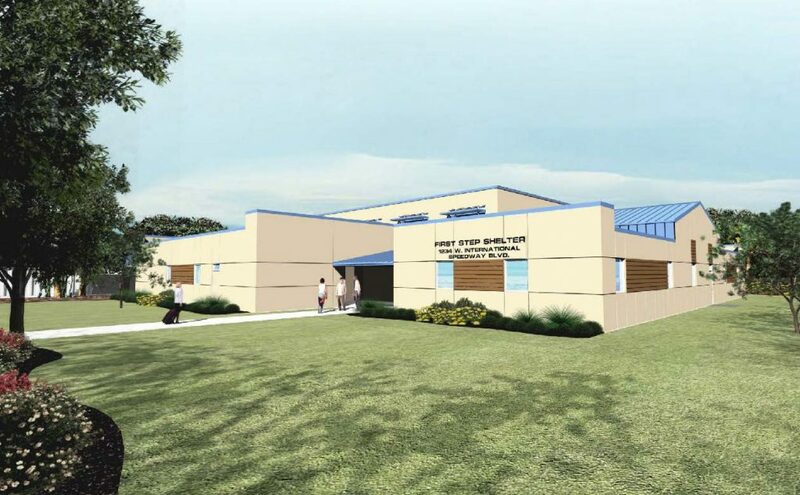 The Board of Directors for First Step Shelter, Inc. is chaired by Mayor Derrick Henry of Daytona Beach and includes a number of government representatives and community leaders all investing in the project. Mark Geallis, former director of Halifax Urban Ministries and a long-time advocate and service provider to the homeless, is the Executive Director of First Step Shelter Inc. and works closely with CCCF, which is under contract as the managing partner of the facility. CCCF was invited to participate due to its reputation for quality, caring and effective services. CCCF will ensure trained and qualified staff are in place and that people are receiving what they need from a ministry standpoint 24/7, 365 days of the year. CCCF will coordinate the services of partner agencies to provide a well-rounded continuum of care to residents including general and specialized case management, behavioral health services (routine and crisis-based), health care services, employment skill development and housing navigation. “Our hope is to provide an intensive level of support and service, designed to be transformational in the lives of people who are homeless and desire something different,” said Tester. “We are concerned with providing more than three hots and a cot.” He is referring to a more traditional temporary shelter model that offers refuge and three meals from 7 a.m. to 7 p.m.
Construction on the First Step Shelter is scheduled for completion in mid to late fall of 2019. Dialogue is also taking place with Stewart Marchman Act as the behavioral health provider, and Halifax Health along with a number of other community entities to coordinate medical/health care services. The next several months will involve finalization of food service, security, health care and behavioral health services and hiring the staff needed to operate the facility. Discussion with local officials including law enforcement and criminal justice representatives are taking place to ensure that a broad perspective of expertise is used to develop strong programming. Bernardo, Geallis and Joe Ramirez, Sr. Director of Finance for CCCF, have traveled to Lakeland, St. Petersburg, Miami, and Cincinnati gleaning best practices from well-known shelter programs.